Rare Immune Diseases (RID), Ukaine, was pleased to participate in the international Day of Rare Diseases (RDD) celebrated on February 29. The Ukrainian rare diseases patients named their national campaign “Hear me”. 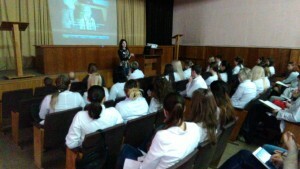 Galina Pavuk president of RID together with professor of pediatrics and medical genetics Lastivka Irina organised a meeting for Bukovina State Medical University students to raise awareness of this special day. 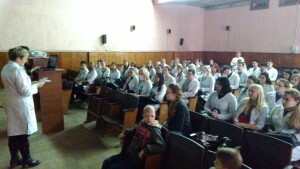 They presented the activities and achievements of RID and ORPHALife-Ukraine, featured a recently released awareness to engage young medical professionals’ cooperation. RID is grateful to IPOPI and JMF for the help provided.